You are at:Home»Tech»Reviews»Overview: Hisense’s new C30, ROCKS! Hisense continues to grow in confidence – and I like it! Following the expansion of its beautifully-designed Infinity range – the two most recent additions being the Elegance and the Faith, they have created an element-proof device that challenges brands such as Caterpillar who have, until now, spearheaded the “ultimate protection” device. The packaging is awesome! It catches your eye immediately; the placement of the dust and water imagery, being separated by the untouched phone, is genius. When you combine that with the resilient-font of “Rock”, you know what to expect inside. It’s rare to see this type of symbolism being made on the front of a smartphone box. Flip the phone around and you’re greeted by a very cool carbon-fibre-like design that gives the C30 look; this closes the chasm that has been evident between an element-withstanding and a sophisticated, beautifully-designed unit. 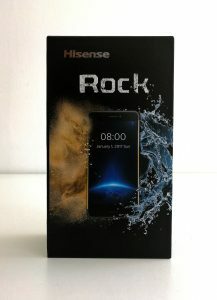 When you hold the phone in your hand, you realise that Hisense has achieved the “claims” that are made on the packaging; it feels robust and solid and I’m not stating that with any negative connotations – the word “solid” is often misinterpreted as “brick-like”, but in this case, that couldn’t be further from the truth. I had an instantaneous urge to tap the screen quite vigourously, while squeezing the sides; I was impressed with the sturdy (almost springiness) of the phone. This is the primary aspect that plagues these types of devices. In the past, they have been considered a niche item, used by adventure enthusiasts and therefore design took a backseat to the specific features. I’m pleased to say that Hisense has been able to break this perception and prove that a rugged phone and an eye-pleasing device are not mutually exclusive characteristics. 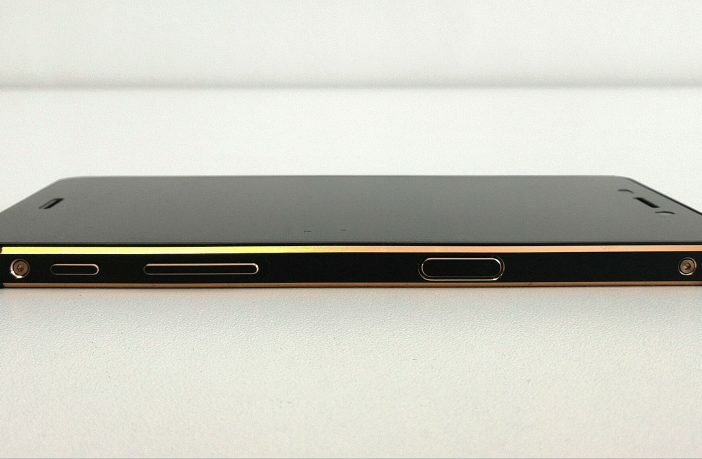 The criticism that I have is that it looks like an amalgamation of a Samsung Galaxy and Apple iPhone – but as I mentioned in my review of the Faith, this is not a bad thing at all; however, I do hope that Hisense focuses on creating a signature design for their future devices. So, now for the results of the field tests that were conducted to find out if the C30 lives up to the IP68 certification. I started off by dropping it from a static position on different surfaces. Whether it was carpet, wooden flooring, granite kitchen tops or concrete, no surface seems to cause any damage; there was not a scratch on it! With that question emphatically answered, it was time to see if it truly was water – and dust – proof; so, in the pool it went and slowly sunk about 1.8 metres; I left it there for 20 minutes. I also submerged it in a glass of water. As I had hoped, after retrieving and drying it, it was fully functional – and much cleaner! The same can be said after it had been covered in dust – a couple of wipes and it was still in pristine condition. So, I can say, “YES!” the claims that Hisense has made about the C30, from my experience, are true. 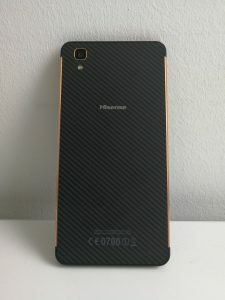 The C30 runs Android OS version 7.0 (Nougat), which is covered by Hisense’s own Vision 4 skin. It was easily navigable and I honestly enjoyed the look of the latest skin. Hisense has managed to break any stigma towards what was previously seen as a niche device. The C30 represents the entry of the “robust and rugged” cell phone into the mainstream market. I can say confidently that this is a device that will be welcomed by consumers.